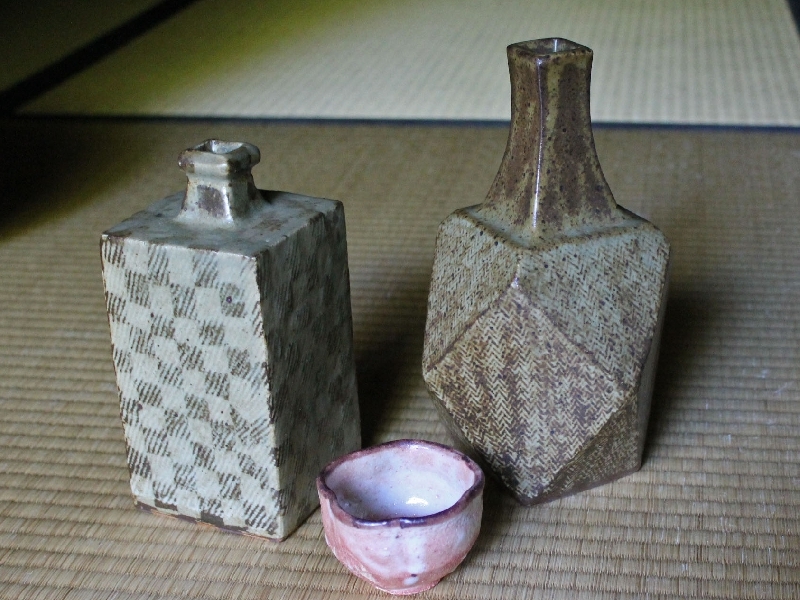 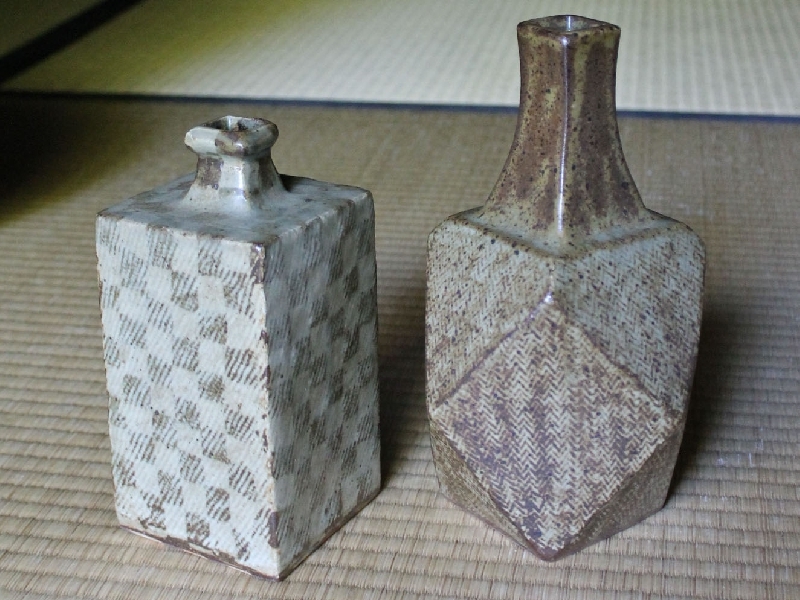 Here are two very shibui Shimaoka Tatsuzo (1919-2007) works dating to the 1970s. The square-checkered vessel stands at 18.7cm.tallx8.5. 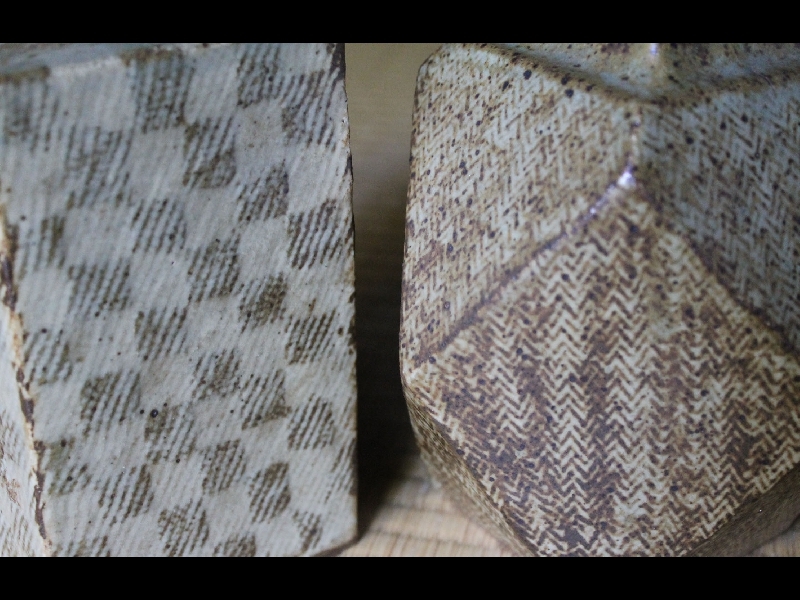 (A bit darker in person). 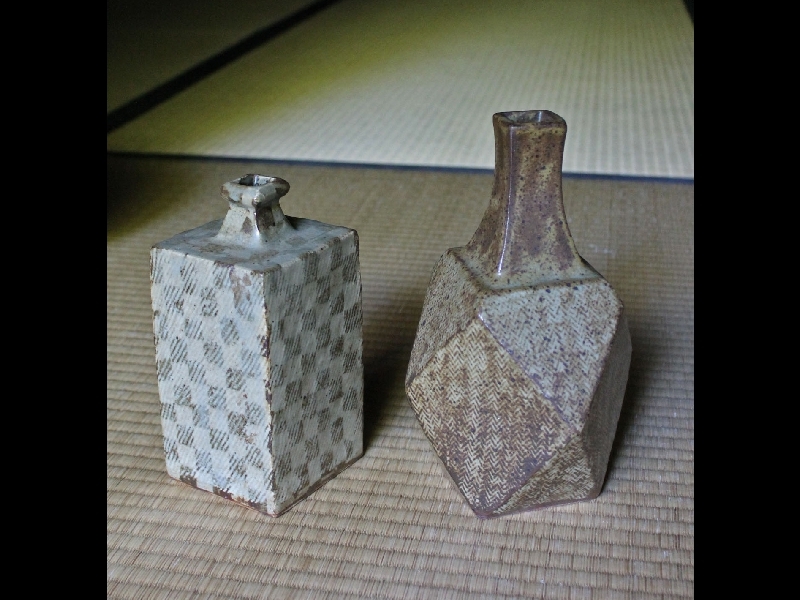 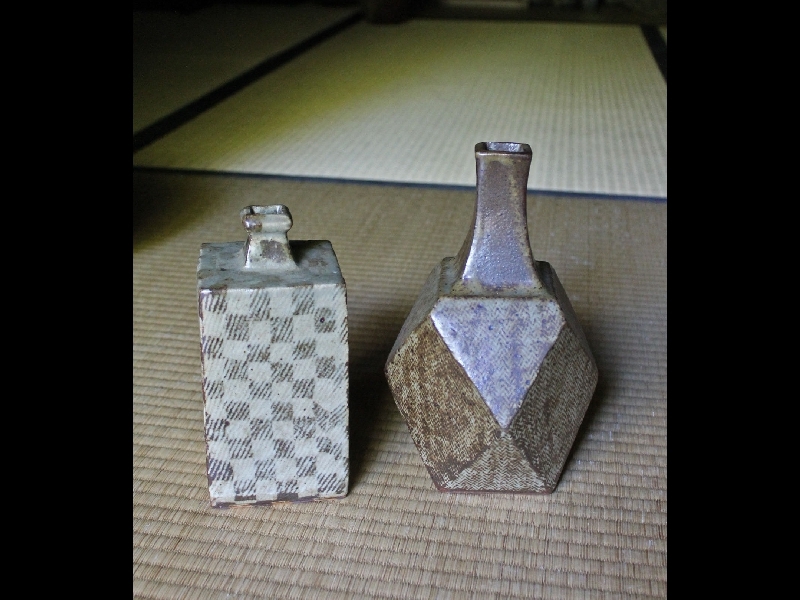 The diamond-cut vase is 22.5cm.tallx11cm; both have Shimaoka's signature rope-impressed design. 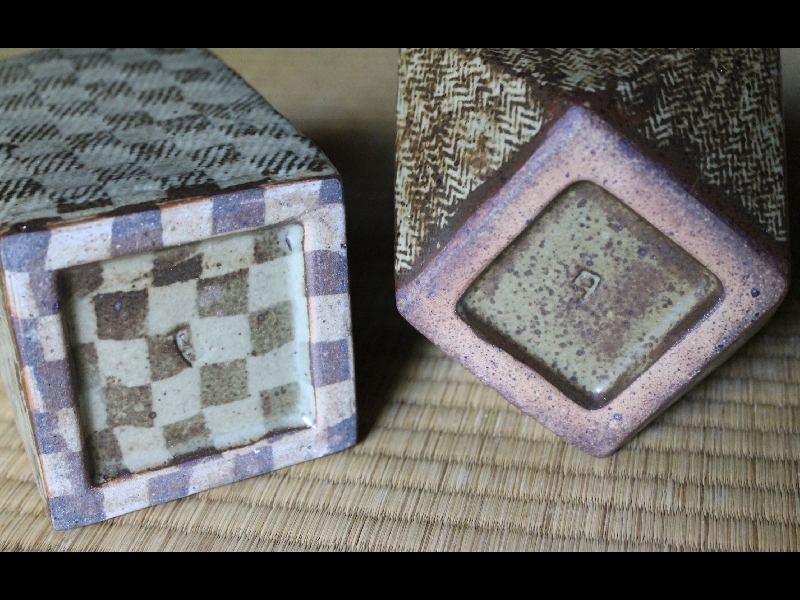 Both in perfect condition with signed boxes.